Besides that, there are a couple of other great canyons in China. When those big rivers come down the “Roof of Earth” Tibetan Plateau, their powerful stream cut through the major mountain ranges all around China. Personally, my favorite is the “Three Gorges”. If you are going to China and have to choose only one place to visit, I will recommend you to visit “Three Gorges”. Here is a list of ten most beautiful canyons in China, you can view all 5 of them in Google Earth here. A canyon, or gorge, is a deep valley between cliffs often carved from the landscape by a river. Longest (504.9km) and deepest (average depth 2800m, deepest: 6009m) canyon in the world. It is not known to the world until 1994, when a team of geologist explored this “last mysterious region” on earth. It is deeply hidden on the isolated region of Tibet, surrounded by 7000m+ snow peak mountain ranges, armed with dangerous glaciers, thick jungle, landslides, earthquakes, and roaring wild water. Very few human ever see the true face of this Grand Canyon. Even photographs are every limited. 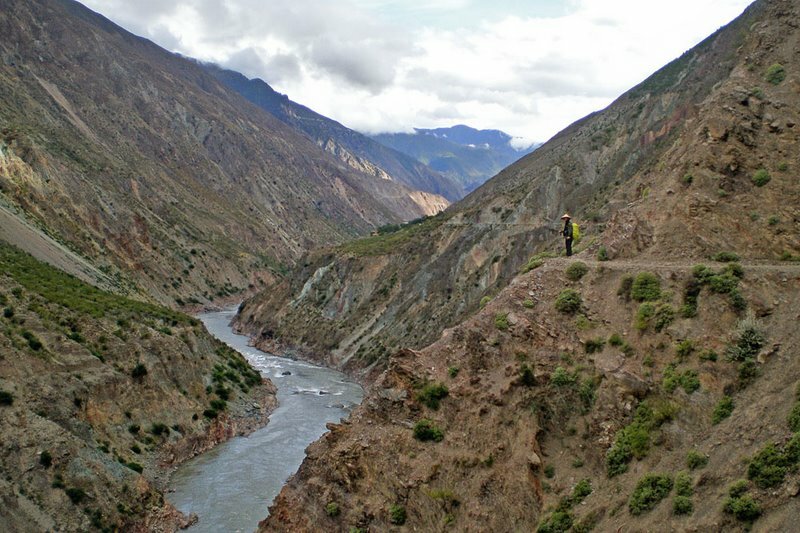 This canyon cut through the Namcha Barwa mountains, forms a damp tongue that delivers water from Indian Ocean into dry inland of Tibetan Plateau. That also brings a rich ecosystem along the canyon. 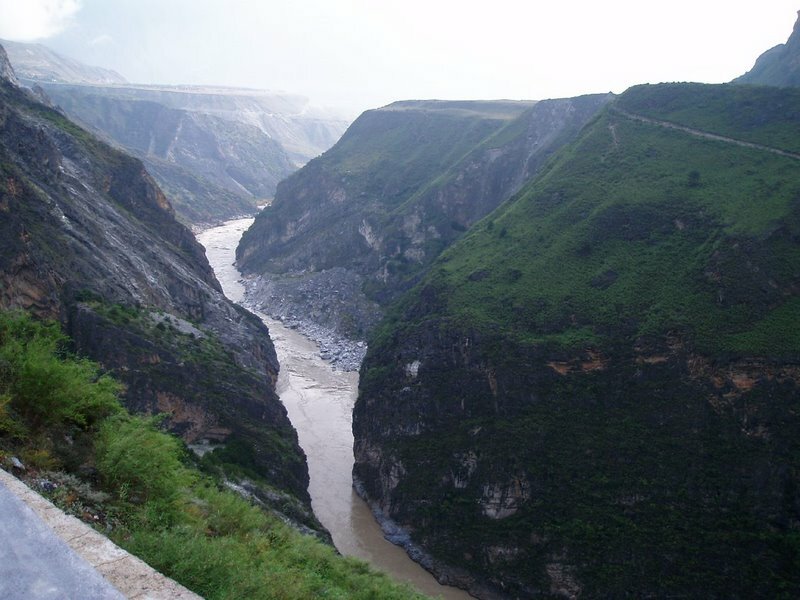 Jinsa River (upper part of Yangtze River) flows south when it comes down from Tibetan Plateau. However, it makes a sharp turn when it reaches here and has to flow east. This sharp turn is Tiger Leaping Gorge. 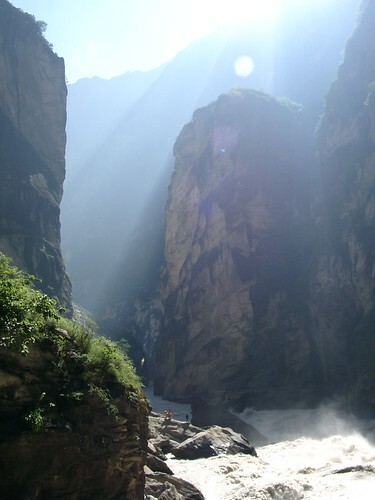 Tiger leaping gorge is banked by Harba Mountain and Yulong Mountain, which are 3800m above the gorge. Within 20km, the river dived 213m in altitude. The narrowest place is only 30m. It is named Tiger leaping gorge because that someone saw a Tiger leap across the river with the help of a rock in the center of the river. Writer Yu Qiu-Yu once said in his book: if you ask me where to visit in China if you can only choose one place, I will tell you “Three Gorges”. I totally agree with this. There are many major rivers in the world you can take a cruise. There are many grand canyons in the world you can make a visit. But there is only one place on this whole planet that you can combine these words together: “Major River” “Cruise” “Grand Canyon” – the “Three Gorges” of Yangtze River. 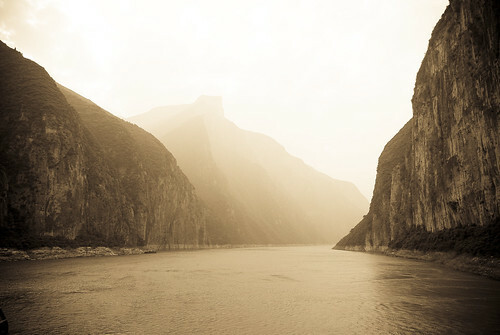 It is the essence of entire Yangtze River, a treasure of China’s landscape. Daning River, Shenlong Creek, Fragrance River are bonuses of the major three gorges. And dozens of cultural and historical places of interest in this region will also give you an unforgettable experience. 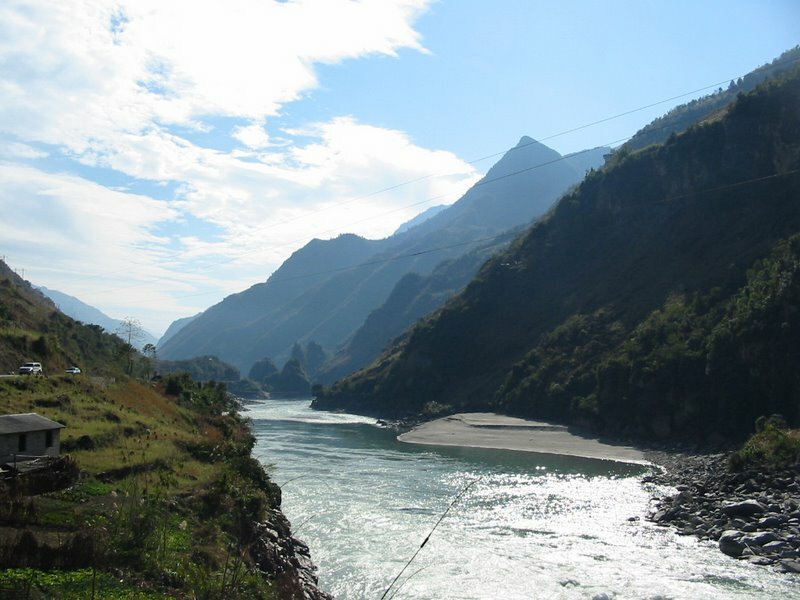 Lancang River, also known as Mekong River, is another one of “Three Parallel Rivers of Yunnan”. 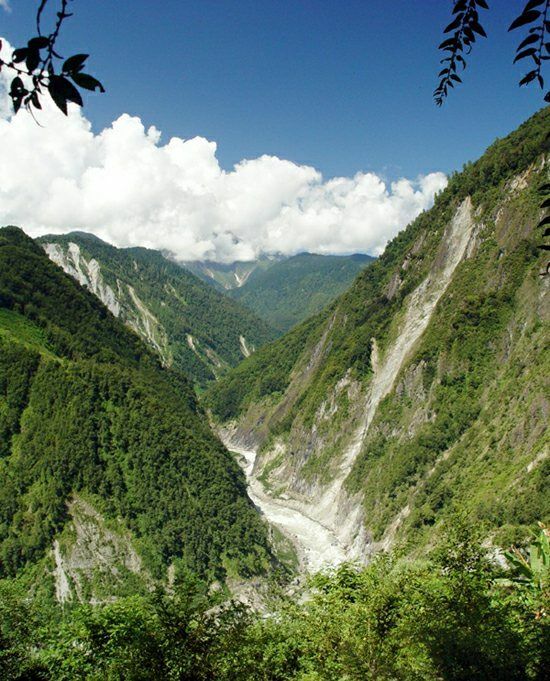 Banked by the famous Meili Mountains, it is known for its extreme depth 4700m+ and torrential flow. three inscribed characters are Bronze Inscriptions.These are texts either cast into bronze vessels or carved into the surface of an already carved vessel. These vessels became widely used during the Eastern Zhou dynasty (ca. 1150-771 BC) but there are examples from late Shang as well. 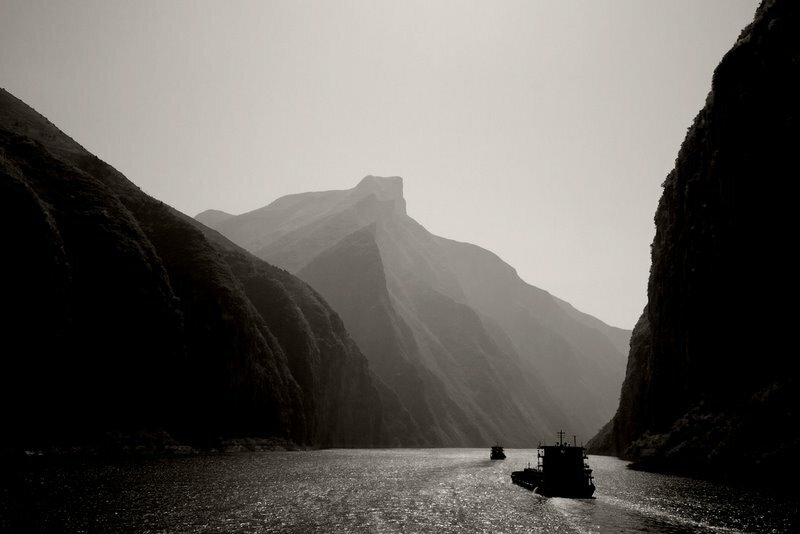 I work for a publisher in Canada and wanted to ask if you’d be willing to let us use the image of Nu Jiang Canyon (fourth in the slideshow)? We’re creating a digital resource for teachers and high school students, which will be made available to purchasing schools later this year. In the resource we have a story about the different ways kids get to school and would like to mention that some students must cross the Nijang Canyon by zip-line to reach their school.